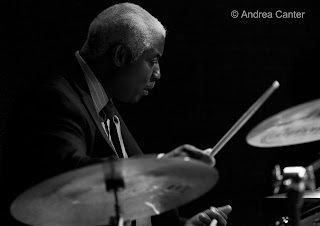 I have to confess that I did not get to much jazz here in the past week, between traveling and dealing with home projects. But one thing I like about the Twin Cities jazz scene—it’s always there, even if you have only one or two nights free. It’s always the “right” night. One treat this week was the chance to check out a potentially exciting new small venue, The Nicollet. Once upon a time, this space at Franklin and Nicollet just south of downtown Minneapolis housed the Acadia Café, which has since moved over to Cedar near the U of M West Bank. It’s been a few things since. New owner, new name, new sense of purpose—like at least one weekly jazz night? The Nicollet is a coffee shop, no liquor and a simple café menu. It could be a cozy space for new music and new artists. On Tuesday night, Reynold Philipsek entertained with solo guitar art, augmented with some songs from Rhonda Laurie and Maxine Sousé. Stay tuned. 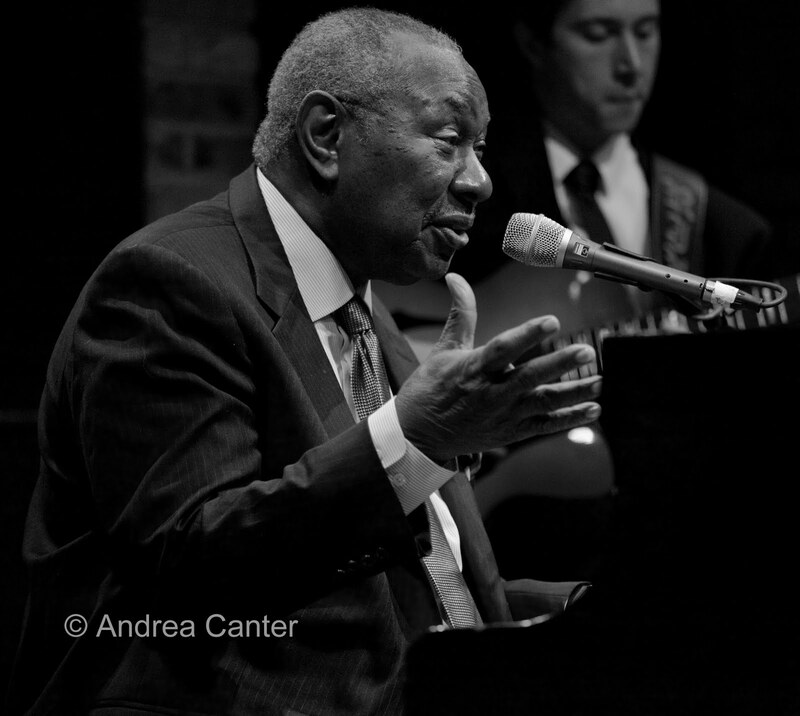 Freddy Cole at the Dakota, August 17: He’s smooth as ice and twice as cool; he’s as sultry as a young diva and many times more sophisticated; his voice conjures a Velveteen Rabbit and is far more frisky. Pretty good for an octogenarian. Or almost. Freddy Cole turns 80 in October, and he’s swinging and bluesing and otherwise carousing like a 40-year-old prince of cabaret. With longstanding cohorts, Randy Napoleon on guitar, Ellias Bailey on bass and Curtis Boyd on drums, Cole took us through the Great American Songbook—but not the usual standards, including such gems as “A Blossom Fell,” “A Cottage for Sale” and “You Bring Out the Dreamer in Me.” For one night, the Dakota became a cabaret, the crowd of 200 a small gathering around the piano, Cole gently, often conversationally pulling at our emotions before we even realized we were vulnerable. And the sassy “What Are You Afraid Of” seduced us all. In fact, the evening was so perfect that it was all the more difficult to understand the loud chatter at an adjacent table. You paid to hear Freddy Cole and then talked right through it as if it was just sonic wallpaper? 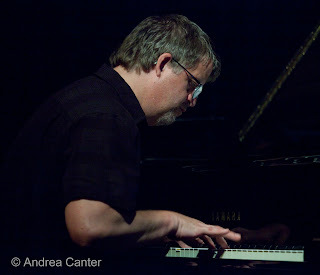 Chris Lomheim, Birthday Tribute to Bill Evans at the Artists Quarter, August 17. Had I realized that Freddy Cole was doing one ticketed show of two sets, rather than two separate shows, I probably would have stayed at the Dakota. In theory I could have still made the late set at the AQ. Whatever, my early departure from the Dakota was rewarded by a night cap with one of my favorite local musicians playing the music of one of my all-time favorite artists. Chris Lomheim celebrates the music of Bill Evans nearly annually at the AQ, always in the company of trio-mates who do justice to the Evans legacy—this year Chris Bates and Jay Epstein. I have yet to meet another pianist in the region who can match Lomheim’s nuanced touch on such compositions as “Since We Met,” “Re: Person I Knew,” or the seldom played “This Is All I Ask.” Jay and Chris B, like the pulse-setters of the great Evans trios, move up front frequently, Bates particularly a standout on Scott LaFaro’s “Gloria’s Step.” And the first set closer, “Five,” a Monkish departure from the lyrical curves of the rest, showed off the more playful angles of both Bill Evans and Chris Lomheim. Elegance has no time signature. Photos: (top to bottom) Freddy Cole croons; Curtis Bailey never missed a beat; Chris Lomheim sends birthday greetings to Bill Evans.